HOW DO I STAY SAFE AT HOME, IN MY COMMUNITY AND WHILE TRAVELLING? When you are newly pregnant, you may have lots of questions about keeping you and your baby healthy and safe. This section covers some of the most common issues. The best way to protect an unborn baby in a collision is to protect the mother. Unborn babies die every year because of injuries to or the death of their mothers who were not wearing seat belts in a motor vehicle collision. Seat belts are effective and safe and should be used by pregnant women. If worn properly, the seat belt will not harm the baby. The lap belt should be worn low and snug, under the baby or bulge. The lap belt should lie over the upper thighs or across the hips and pelvis, never over the abdomen. The shoulder belt should cross the center of the chest and shoulder. Never tuck the shoulder belt under the arm. Both belts should be snug. In cold weather, pregnant women should not fasten the seat belt over several layers of clothing as this can cause the lap belt to gradually ride up. Instead, lift up your jacket and pull the lap belt snug over the clothing underneath. Slide the seat back as far as possible from the steering wheel, dashboard and air bag. Limit driving in the last three months of pregnancy since the steering wheel is so close to the abdomen. When possible be a passenger. It is safe for most pregnant women to travel through most of her pregnancy, but always check with your care provider before taking a trip. One of the main problems with travelling is that it is associated with immobility. At the best of times this can be uncomfortable and can lead to circulation problems in a person’s lower limbs. During pregnancy hormonal and physical changes exacerbate the negative consequences of these periods of immobility. If you are leaving the country it is a good idea to check with the AHS Travel Clinic 403-944-7100 to see if there are any special concerns for pregnant women at your destination. You may want to check into travel insurance for both you and your baby. Driving short distances is fine as long as you’re comfortable. On longer trips take frequent breaks. Avoid driving when you are tired. Both driver and passenger should get out of the vehicle, walk around and stretch every few hours. Maintain good hydration and stop for meal breaks. If you are traveling by air, check with the airline to see if there are any restrictions for pregnant women. Some airlines may require a note from your caregiver before allowing you to fly. It is important to do foot and leg exercises in your seat on long flights to increase circulation. Some women find it helpful to wear support stockings. Maintain good hydration by drinking fluids and remember to eat regularly. Wear comfortable loose fitting clothing and shoes. For travel advisories – visit the Public Health Agency of Canada’s website. Avoid travel to areas where Malaria is a risk. Malaria in pregnancy is associated with miscarriage, preterm labour and other severe illnesses for the mother. Women who work with children or in a healthcare setting are at an increased risk of getting common communicable diseases that pose a risk to the unborn baby. Rubella, chickenpox, German measles, Cytomegalovirus, Tuberculosis and “fifth” disease (human parvovirus B19 or slapped cheek disease) can cause miscarriage, stillbirth, preterm labour and physical and mental defects in the unborn child. Pregnant women should check their immune status for rubella and chickenpox. If you are not immune or you don’t know your status, try to avoid contact with anyone with suspected or known disease. If you have been in contact with communicable diseases see your doctor. Immunization is available for rubella and chickenpox following your pregnancy. Getting immunized against the Influenza (flu) is highly recommended for all pregnant women, especially those who have diabetes, heart and lung or kidney disease. This will help protect you, your family and your newborn baby against influenza. For more information about immunization visit the Alberta Health website. The vaccine may prevent influenza in the newborn baby. There is no licensed vaccine for infants less than 6 months of age. West Nile Virus is spread by the bite of infected mosquitoes. The mosquitoes get the virus by feeding off infected birds. People who have been infected often have no symptoms or may have mild symptom such as headache, fever, rash and body aches. Rarely people develop more serious illness such as meningitis, encephalitis or paralysis. If a pregnant woman develops West Nile virus she can pass it on to her unborn baby who can be very ill at birth. To minimize your exposure avoid mosquito infested areas especially at dawn and dusk. Drain any standing water near your home and insure that all your window screens are in good condition. Wear protective clothing such as light coloured long sleeved shirts and long pants. The use of insect repellant containing DEET is considered safe in pregnancy and could be used in high risk areas. Toxoplasmosis is an infection caused by a parasite sometimes found in cat feces and in certain food, like raw meat. This infection can harm an unborn baby. Most people who are infected don’t show any signs of illness. Those who do get sick may experience a fever, sore throat, sore muscle and tiredness. Glands in the neck, armpits or groin can become swollen, but aren’t usually sore. It can cause temporary blurred vision or loss of vision in some cases. Not eating raw or undercooked meat. Washing your hands, counter tops, and utensils very well after handling raw meat. Wearing gloves when gardening (to avoid cat feces), and washing your hands well after gardening. Covering sandboxes to prevent cats from using them as a litter box. Avoiding contact with stray cats. 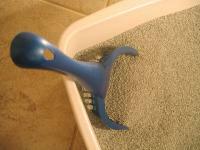 Have someone else clean the litter box and rinse it with boiling water daily. Make sure they wash their hands afterwards. Dispose of cat feces and litter in a plastic bag in the garbage. Do not compost the cat litter, or dispose of it near your garden. See a vet if there are any signs of illness in your cat. Wash your hands after patting, brushing or being licked by your cat. While you are pregnant, it is best to avoid the use of pesticides, weed and insect sprays, paints and paint removers. These contain chemicals that can negatively affect the growth and development of your unborn child. Instead of pesticides try spraying plants with a stream of water, picking off insect pests by hand, using sticky traps or using solutions of soap and water or baking soda and water. Instead of lawn herbicide, hand pick weeds or hire a neighbourhood teenager to do it for you. If someone is using paints, glues or strong cleaning chemicals in your home, be sure the area is well ventilated. 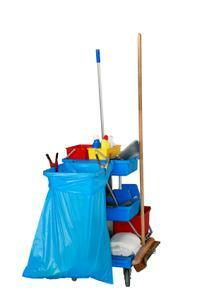 Household cleaning supplies can also contain hazardous chemicals. Safe alternatives for hazardous cleaning products are vinegar and water or baking soda. Just because a cleaning product or pesticide is labeled “natural” does not mean that it is safe to use during pregnancy. Some natural products are very toxic. Always read the label and, if you are not sure a product is safe to use during pregnancy, call the Poison and Drug Information Service at 1-800-332-1414. If you must use chemicals, do so only in a well-ventilated area and use gloves. Soaking in a hot tub and taking long hot baths or saunas are not advised in pregnancy as they can cause you to become overheated. Overheating may effect your baby’s development. If you do soak in hot water, limit the time to 10 minutes or less and reduce the water temperature to 38.9° C (102° F) or less. Keep your shoulders out of the water. A second person should always be present in case you feel dizzy or faint.